The finance and accounting market has changed considerably over the years and there are now hundreds of career opportunities for those who have the right style of resume and demonstrated business skills. Additionally, finance and accounting resume writing has evolved in a way that has seen individuals being better recognised for their people and commercial savvy skills as opposed to just being focused on the numbers. Gone are the days when accountants were seen as “bean counters” with back office jobs and back office mentality. These days the dynamics have greatly changed as we see accountants playing a lead role in everything from commercial business strategy through to systems implementation, mergers and acquisitions, risk strategies, project management and much more. Can't see your requirement? There are over 100+ position types we could list, but we never forget that everyone who comes to us does so as an individual - so all our clients resume writing needs differ> Did you know? 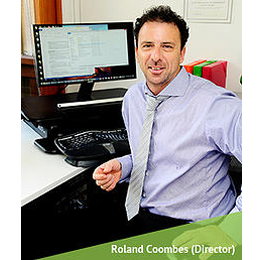 Roland Coombes (Director of itouch) built his reputation in the accounting & finance market; winning awards in Australia and the UK markets for both recruitment and resume writing services.